Nice to see you again! This week we have been extremely busy. We split into several teams. One team CAD’ed, another team prototyped the pickup mechanism, and another prototyped the shooter mechanism. 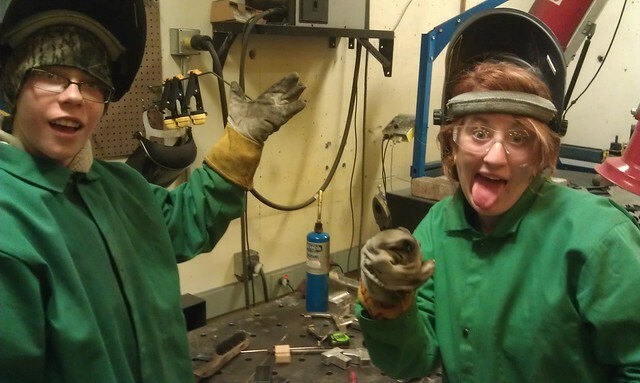 We continued CAD’ing, prototyping, and strategizing for the rest of the week. The electronics/programming team also met and were practicing programming. We held a team meeting that went pretty well discussing regionals and other team things as well. We did outreach at the ISU FIRST LEGO League State Championships from 9-12. Check back later this week for the post about that. 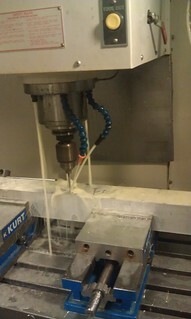 Once we got done, we continued importing the rest of the drive train/chasis into MasterCam then finished CNC’ing them. Another team started detailing the CAD models of the specific modules we are putting on our robot. A few people continued work on the feeder slots.